Does the exterior of your property look bland or need some sprucing up? If you are searching for a way to increase the curb appeal of your home then consider installing operable louvered or cut-out exterior shutters. Louvered shutters offer a traditional look for your home while jazzing up the appearance of your property. 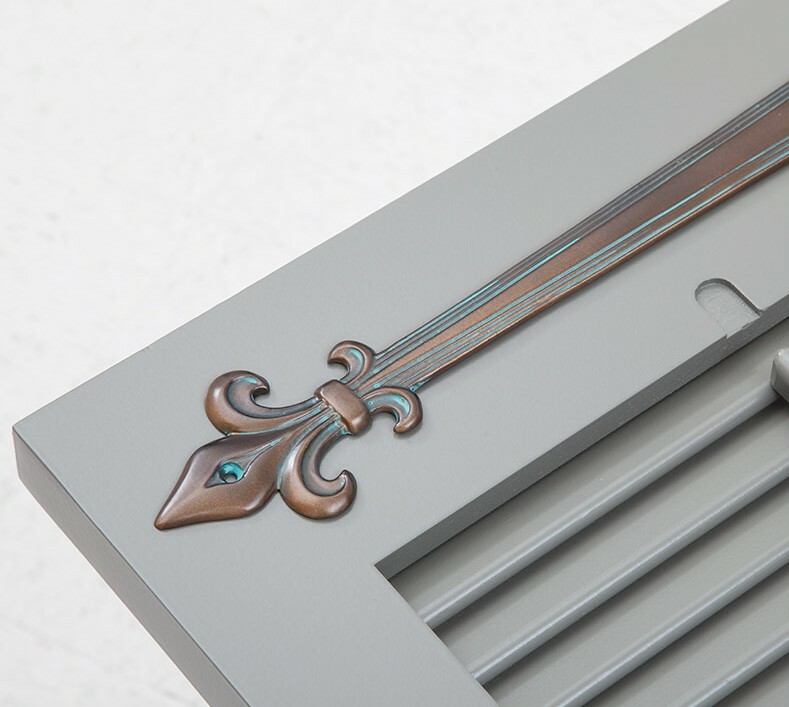 Operable louvered shutters are available in a wide range of styles, colors, and designs – to match the aesthetic appeal of your property. 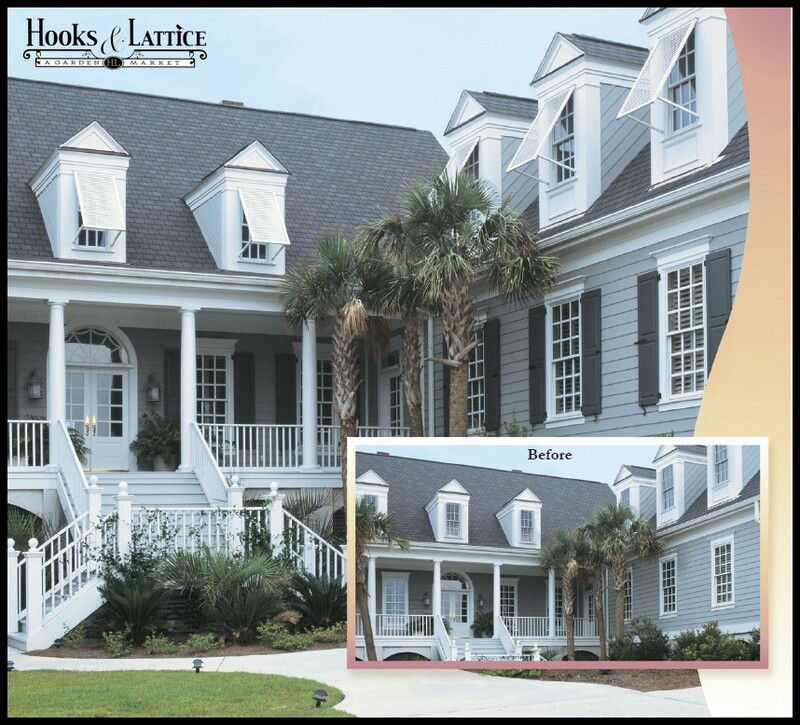 Learn more about customization options and how exterior window shutters can bring more life to your property. Before you start shopping for shutters, you will need to measure your windows to determine what size shutters are needed. 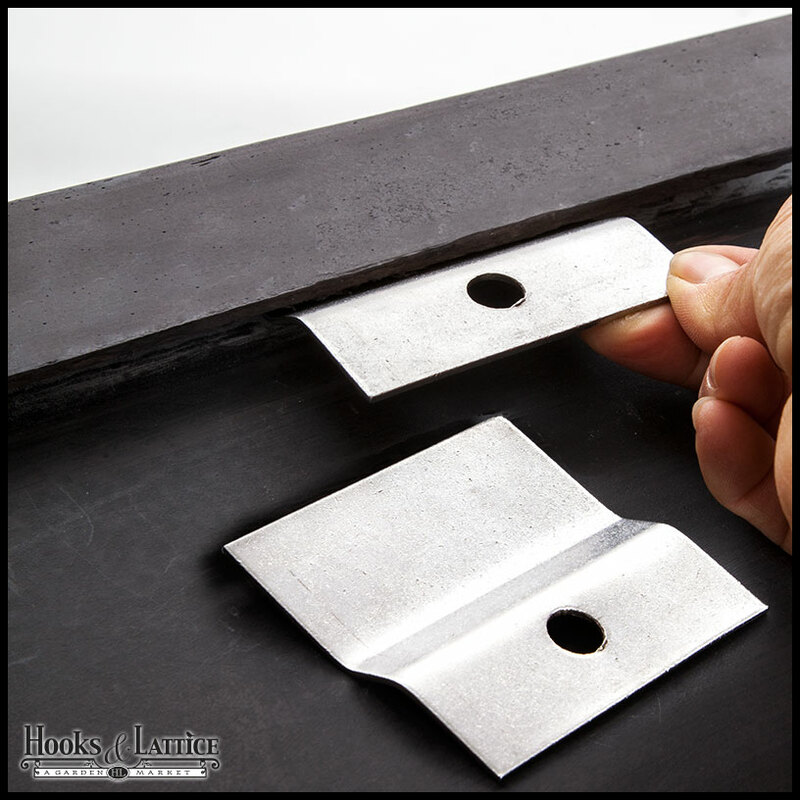 We have created detailed, yet simple to follow, instructions for measuring your windows. 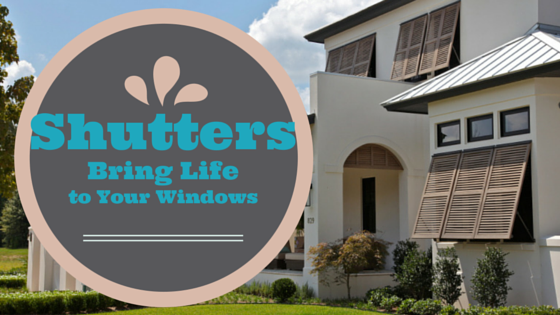 Pay attention to whether you are going to install fixed or functioning shutters. The instructions should give you a better idea of what size will be needed, but if you want to ensure your shutters fit perfectly, we recommend contacting a professional contractor. Exterior window shutters are the most common type of shutters that you will find along the exterior of homes throughout the country. 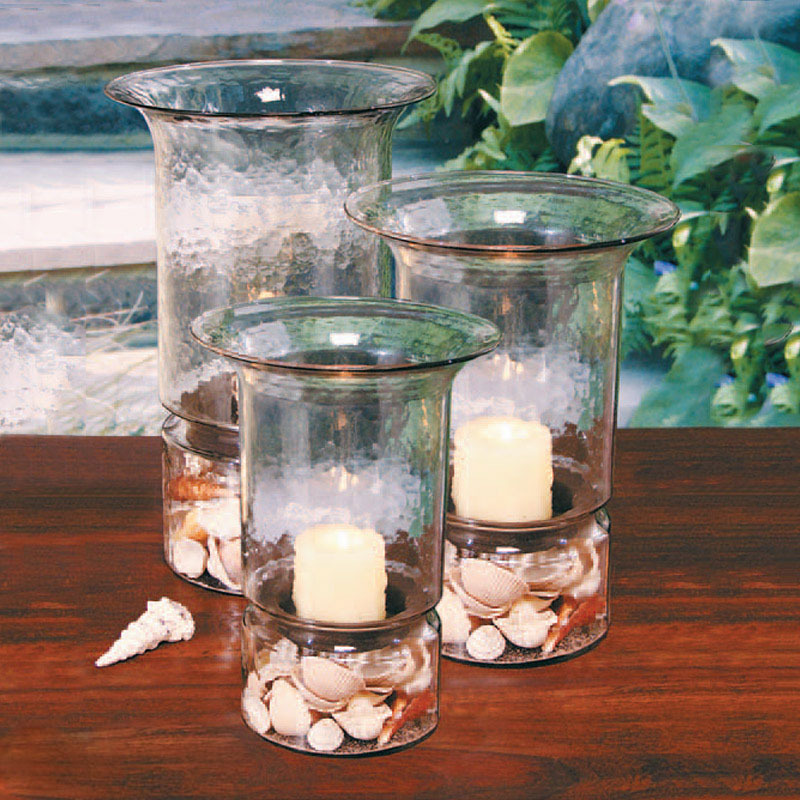 They offer a traditional look and come in various colors and styles. Exterior louvered shutters have a universal appeal that works well on any style of architecture, whether you have a contemporary home or a cottage style abode. Examine our selection of exterior louvered shutters to get a better idea of your available options. Choose from fixed or operable shutters. With operable shutters, you can actually close your shutters for additional insulation or shade from the sun while fixed exterior window shutters mostly offer an aesthetic appeal. Another option for bringing more appeal to the exterior of your home is exterior shutters with cutouts. Custom designs are available to give your home a unique and original look. 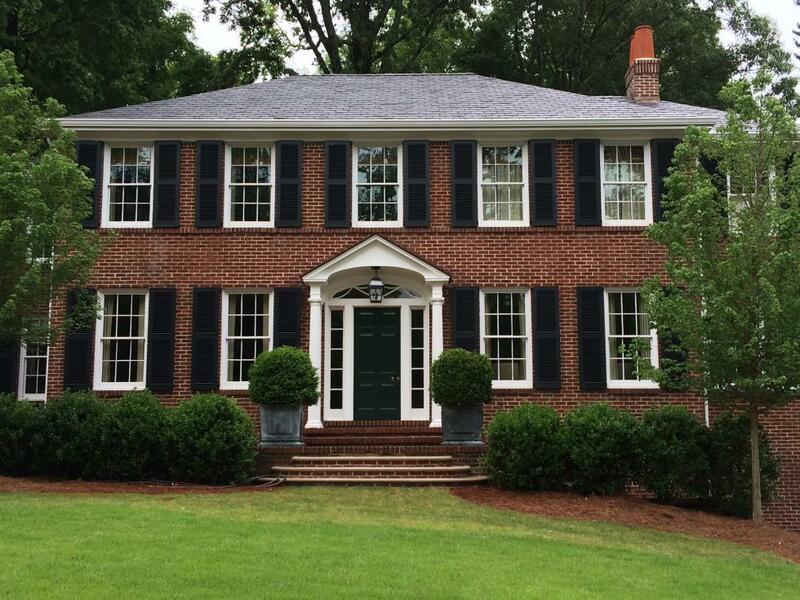 Let your home stand out by installing exterior shutters with cutouts. They come in a range of materials, including fiberglass, cedar, and mahogany timber. You can shop for exterior shutters with cutouts and choose from existing designs or place a custom order for a specific cutout. If louvered shutters or shutters with cutouts are too traditional for your tastes, then check out our selection of outdoor Bahama shutters. These exterior window shutters were originally used on homes in tropical regions, to provide shade while still allowing adequate airflow. Let a cool breeze through your home and block out the sun as needed. You don’t have to live in a tropical area to enjoy these attractive aluminum shutters. Exterior window shutters come in many variations. 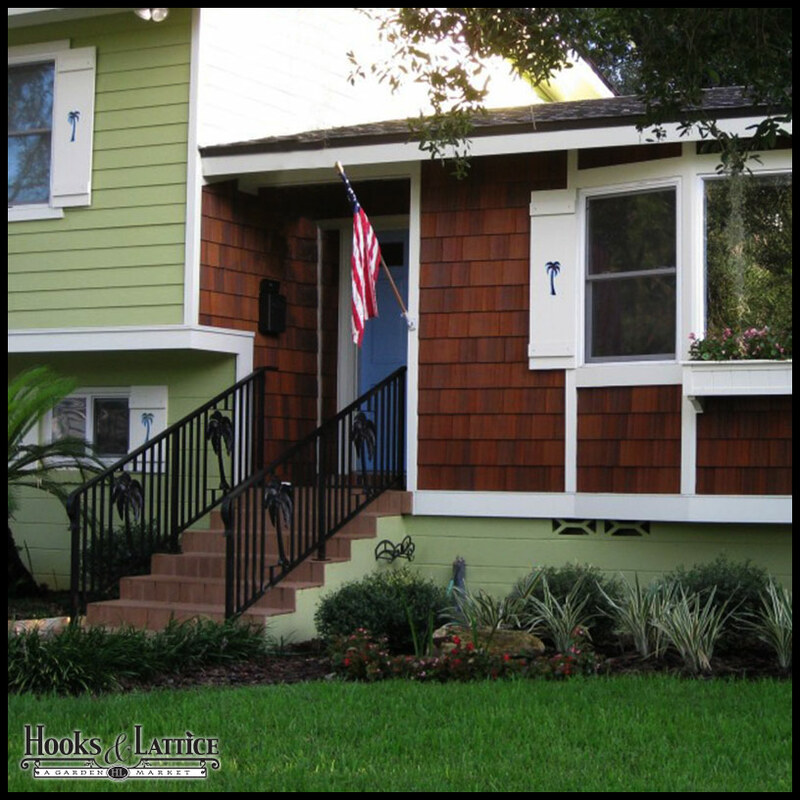 Louvered shutters provide a more traditional appearance; shutters with cutouts offer a unique appearance while outdoor Bahama shutters provide a useful function. 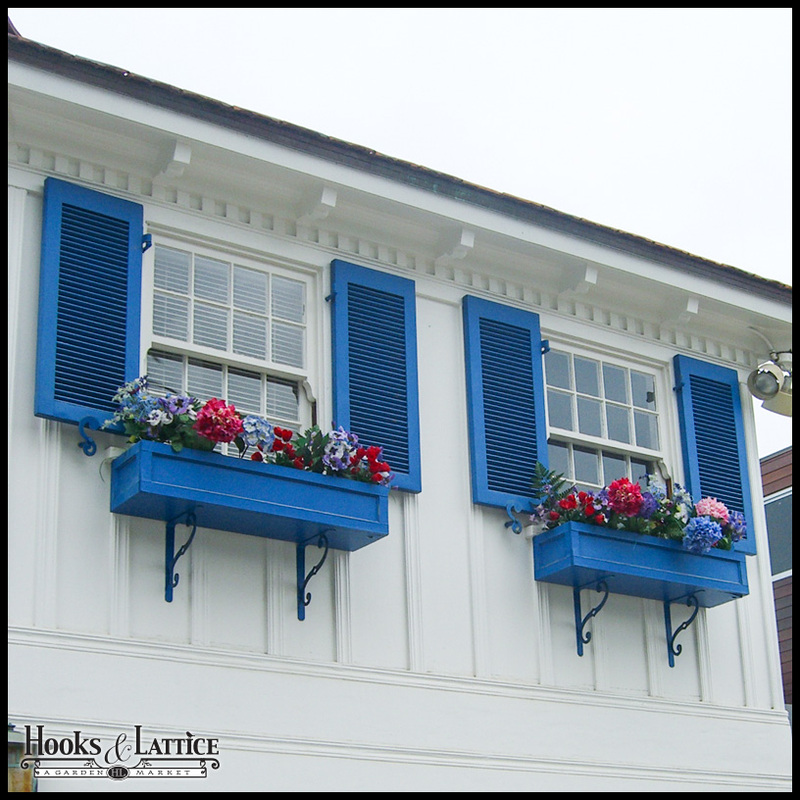 Consider all your options when shopping for exterior window shutters. Take a look at the various styles and designs to find an option that complements the look of your home. Visit our site today to learn more and browse our selection of louvered shutters and exterior shutters with cutouts. We can also accommodate custom orders, so contact us today. Start Shopping for Shutters Today! Summer is on its way and this means it is almost time to start planning outdoor cookouts, graduation parties, summer weddings, and other fun outdoor events. As you plan your party on the patio, learn how to select and arrange planters that will complement the theme of your party. 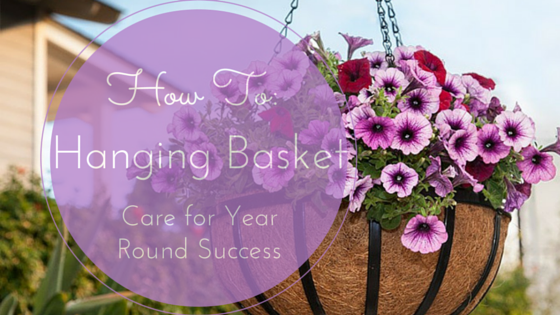 Choose the perfect plant arrangement for a outdoor wedding or family barbeque. Also learn about the benefits of using self-watering planters to keep your flowers and plants looking vibrant and fresh throughout the summer. Get ready to party on the patio with planters. Plan the perfect patio party by selecting flowers that will complement the theme of your party. Your first step is to choose flowers based on color and appearance. Think about the theme of your party. Are you planning an outdoor wedding reception? Ivory or purple roses are always a good choice. Roses also come in a wide variety of colors that you can choose from to match the colors used in the wedding. Planning a Fourth of July party? Consider getting red petunias or roses and combining with white lilies and blue hydrangeas. When choosing flowers, start by thinking about the colors and themes being used for your party. Then shop your local greenery for matching flowers and plants. 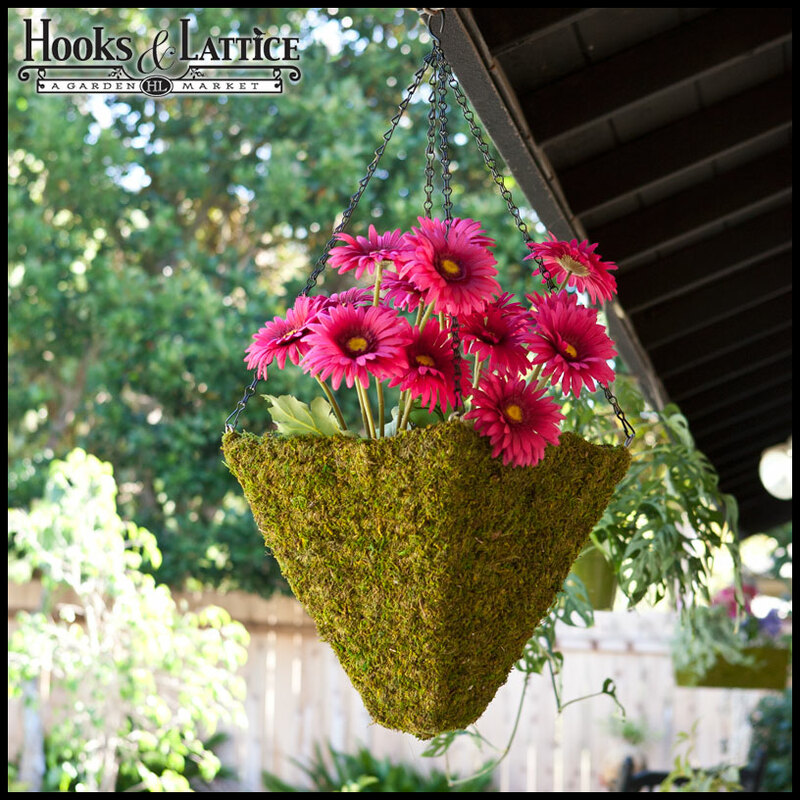 Pick flower boxes or outdoor planters that will best showcase the appeal of your flowers and plants. Think about the flowers you are using and the theme of your party. 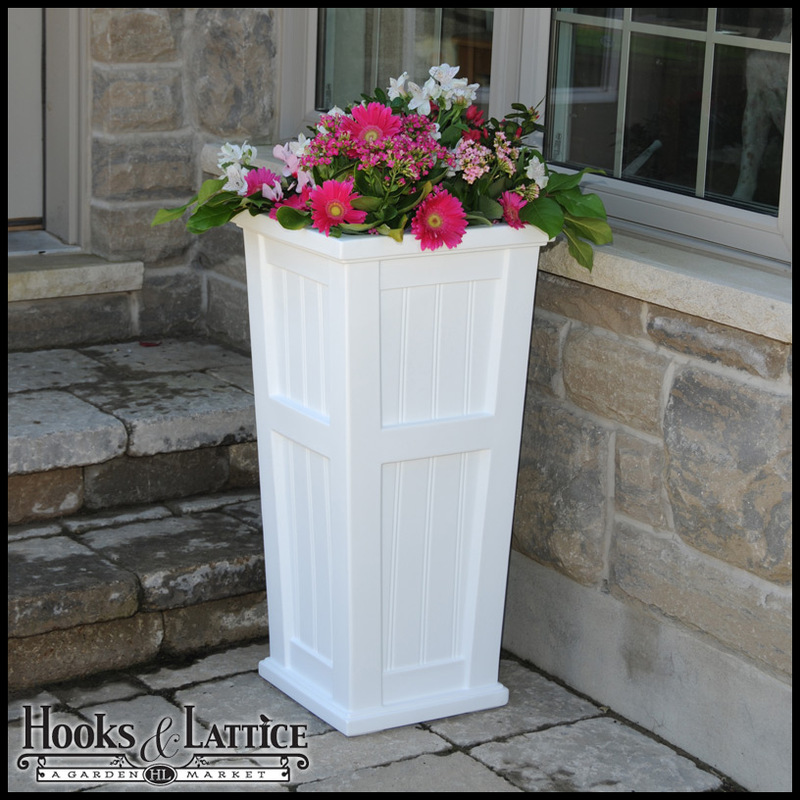 Fiberglass and resin planters can provide a traditional look, that is great for weddings or formal events. Metal and iron garden planters could also work well for a formal event and include a variety of modern designs that can act as a conversation starter. If you are worried about the constant care required to keep your flowers healthy, then think about using self-watering planters. 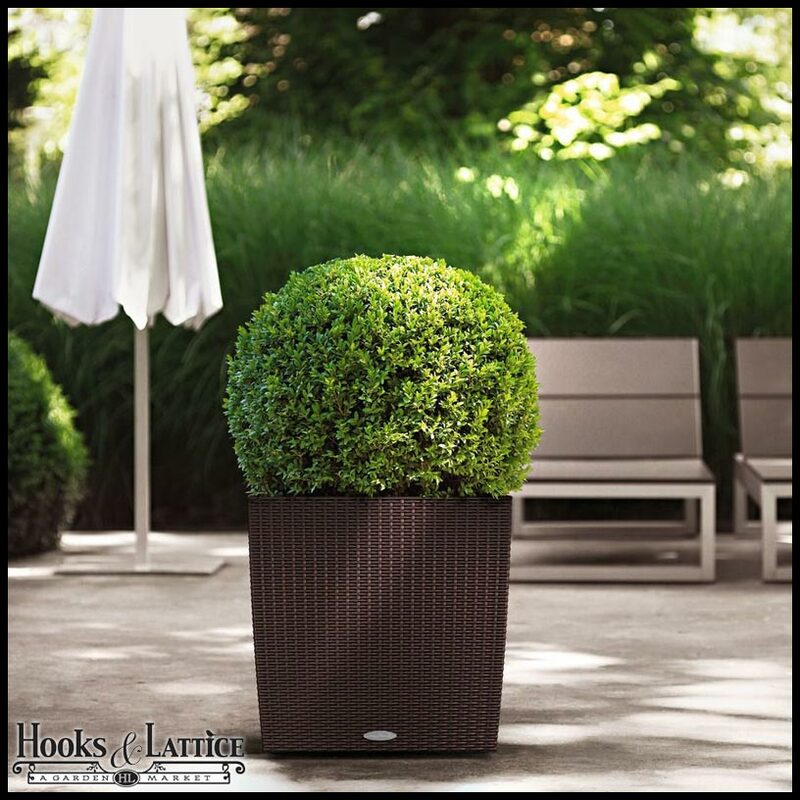 Our cottage-weave mocha self-watering planters have a natural wicker look to match your patio furniture. If you are limited in space, a self-watering window box lets you bring flowers to eye-level and off the ground. Self-watering planters and window boxes let you focus on the party instead of caring for your plants. Now that you have chosen which flowers and outdoor planters you intend to use to decorate for your party, it is time to consider how to arrange your planters. 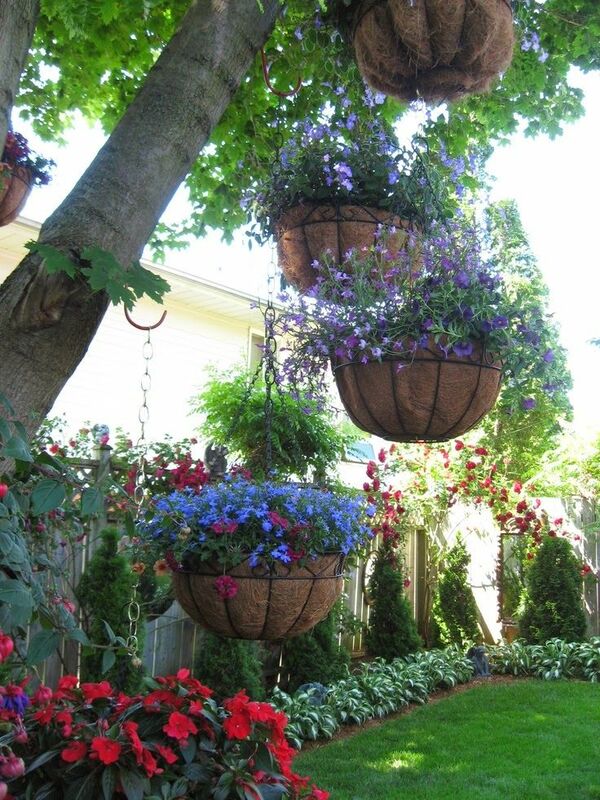 Your outdoor planters can be used to accent areas along your patio. Use a pair of Promenade tall patio planters to create an entry point for guests. Arrange smaller planters near a buffet table to draw people’s attention towards the food. 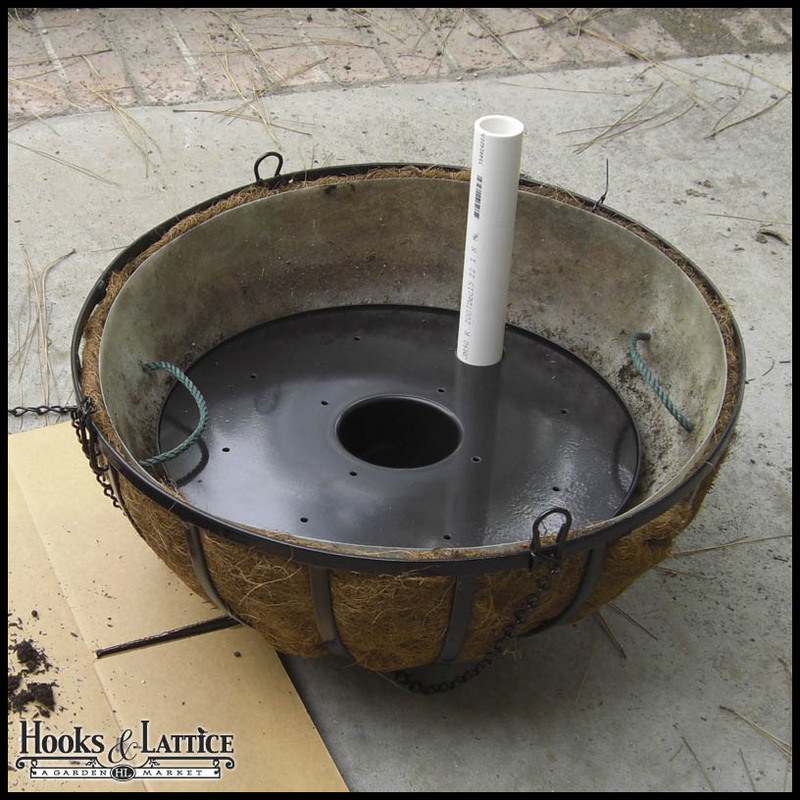 Carefully consider where you want to place your planters and use them to highlight specific features or locations around your patio or yard. Your guests will naturally be drawn to the bright, vibrant colors of the flowers that you use. Choosing the right plants and flower arrangements to go along with your patio party is not difficult. Think about the theme of your party and pick plant life accordingly. 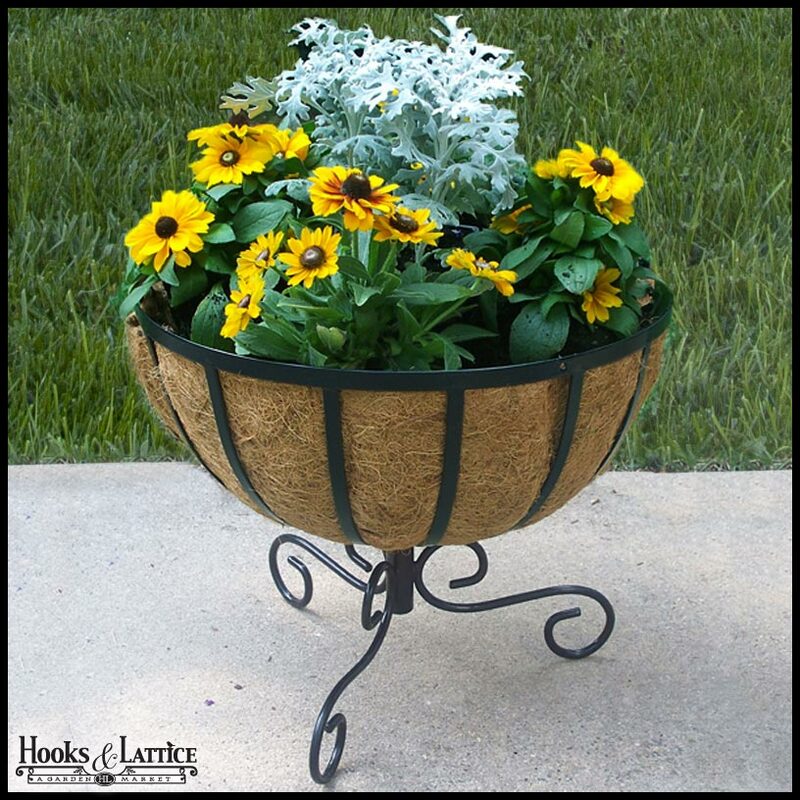 Browse our selection of self-watering planters and other outdoor planters for patios to keep your plant healthy all season long. 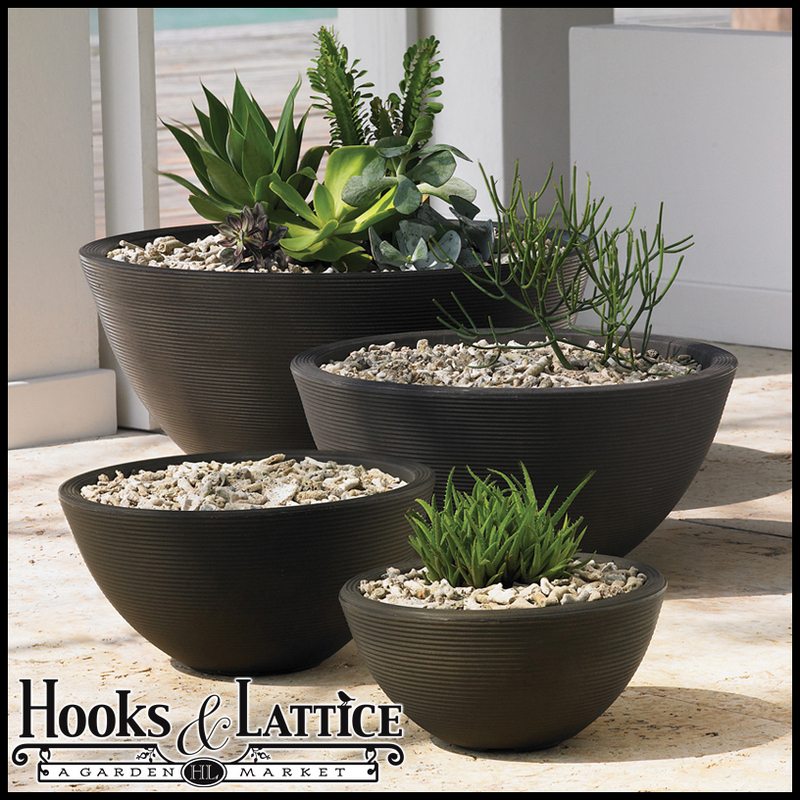 Visit our website today to start searching for the perfect outdoor planters! Whether you have bought, rent, or built the home of your dreams, you know the ins and outs of its architecture – where the sunshine hits just right, where the shade spots are, and a sliver of your true gardening potential. This is where window box planters come in – and not just any window boxes, but the best window boxes for the architectural style of your home. The best way to choose a classic flower box depends upon the architecture of your home. 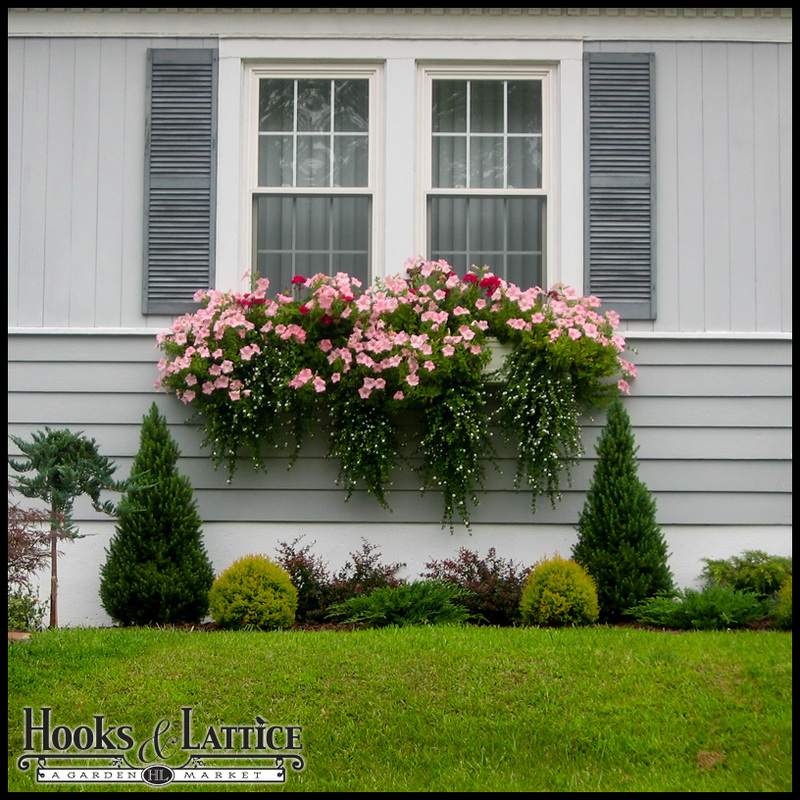 Sometimes it is best to see an example on someone else’s home that is similar to yours, that has a window box, for you to truly fall in love with a particular window box and what it could do for your home’s exterior décor. 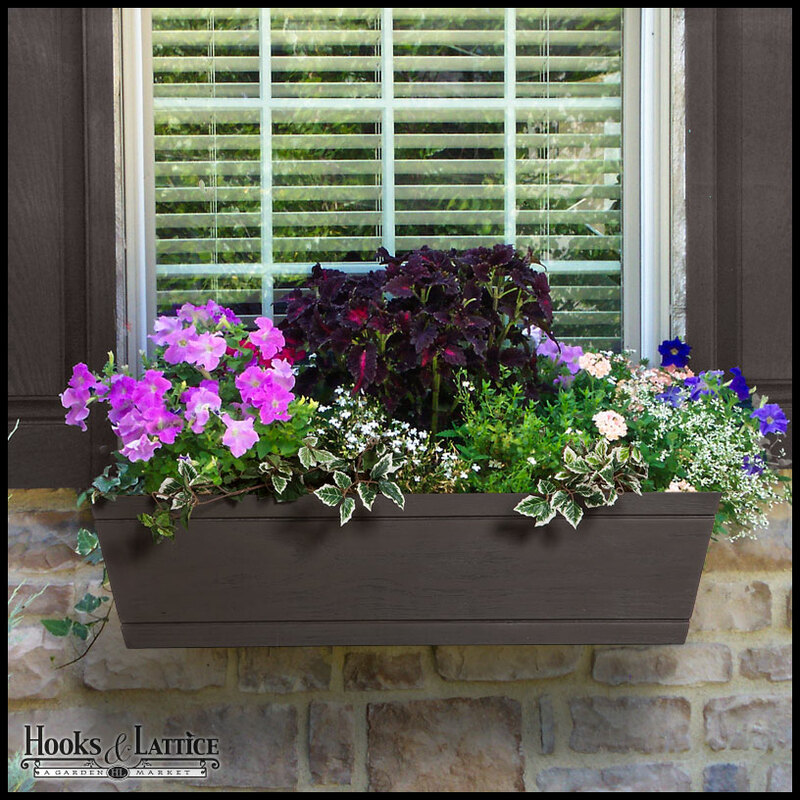 The following flower boxes have been selected to explain the many ways that a window box could spruce up your home’s exterior. When you think of mountains and open fields, you probably conjure a home that could be on Little House on the Prairie. While this mental image would have been accurate a few decades ago, nowadays cabins and log homes have been made modern, retaining the old-fashioned feel of nature, while reveling the contemporary appliances and modern marvels of today’s world. Window boxes fall somewhere in between cedar window boxes and are the best window boxes for these types of homes because they give your cottage, cabin, or log house a further rustic look. 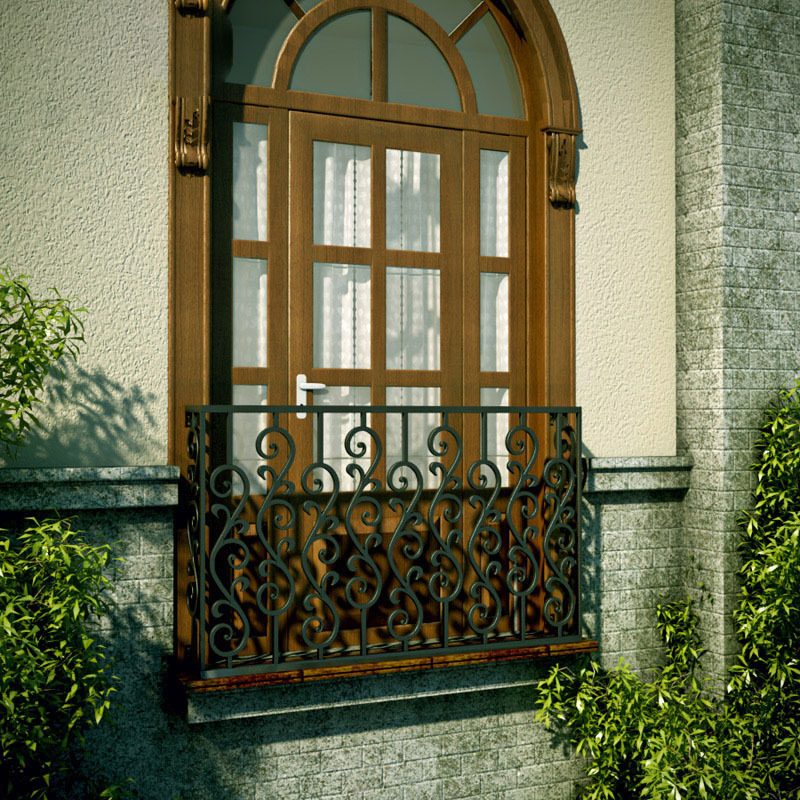 With rustic architecture, wrought iron window boxes also add an elegance touch. With wrought iron window boxes, you can add a liner or place individual 8″ pots inside to create an even more rustic feel to your curb appeal. 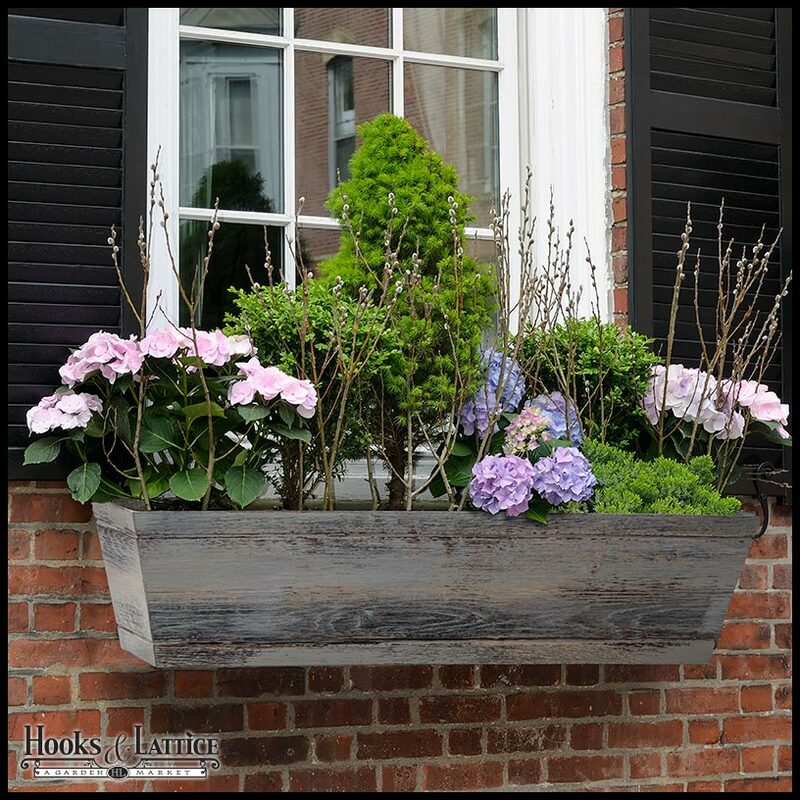 There are dozens of copper flower boxes to choose from, but the best window boxes in this category are those that go perfectly with the contemporary feel of a modern, suburban home. You probably have all the amenities, perhaps a big porch, and plenty of neighbors, so your curb appeal matters. 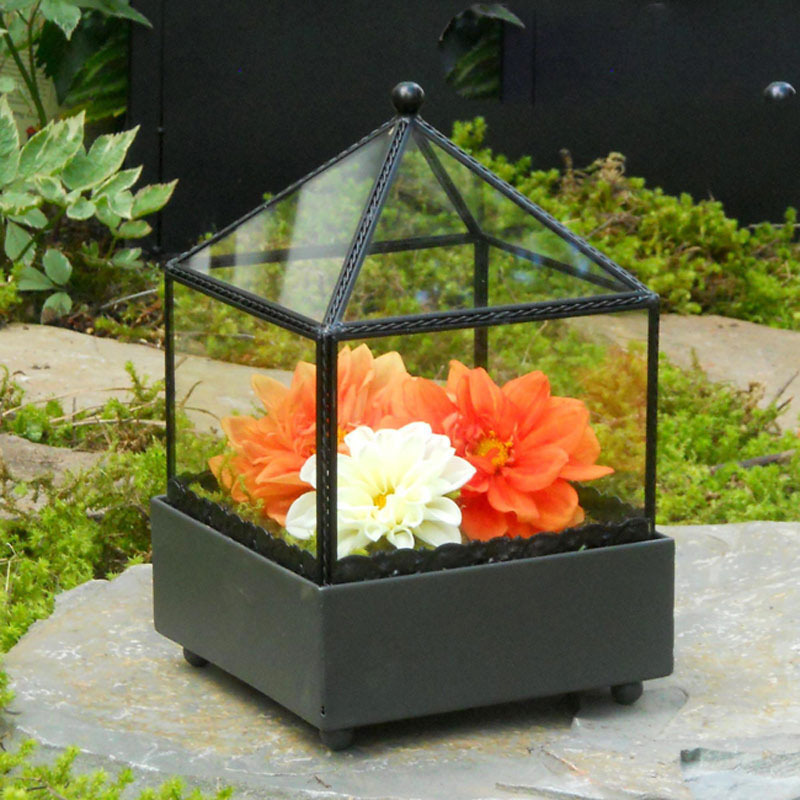 These copper window boxes are stain, decay, and deterioration resistant, meaning they will last longer, keeping your impromptu garden of beautiful flowers looking lovely. Plus, you can opt for steel arches for the exterior, accentuating the copper lining of each window box planter. Sure, the aforementioned flower box options mention contemporary, cottage, cabin, and log homes, but your house or apartment might not fall into any of those categories. Lucky for you, window box planters are versatile. Usually, people pick the home exterior décor that suits their personalities. They also pick the accessories and amenities to go into and outside of their homes based on their personal interests and likes. The same is true for window box planters. You can simply choose one that you think suits you best and go from there. It would likely be a match, considering your surroundings are already based on your unique likes and dislikes. 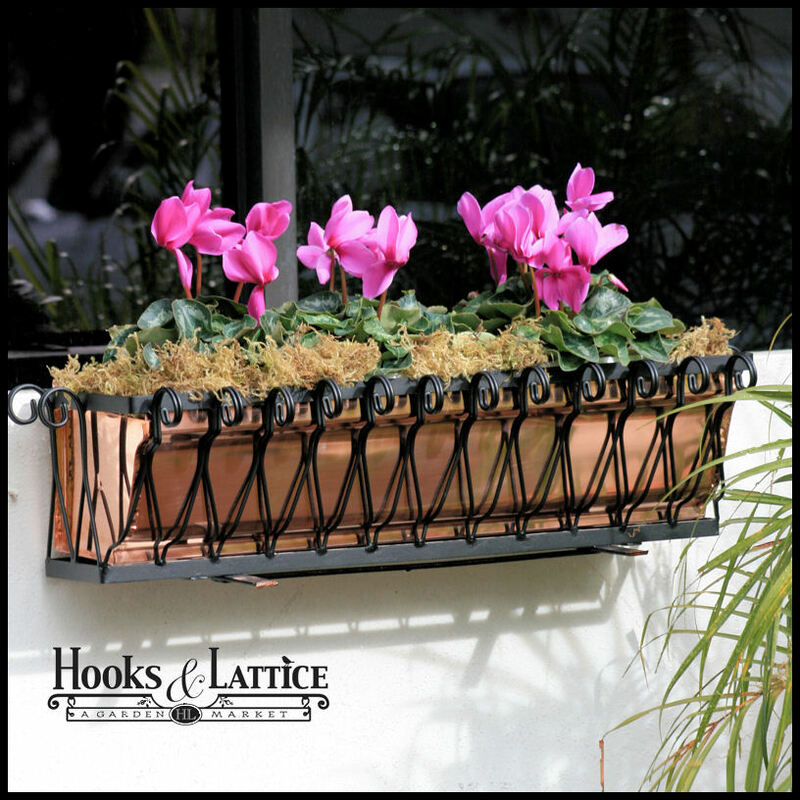 Shop all of our versatile window boxes at HooksandLattice.com. 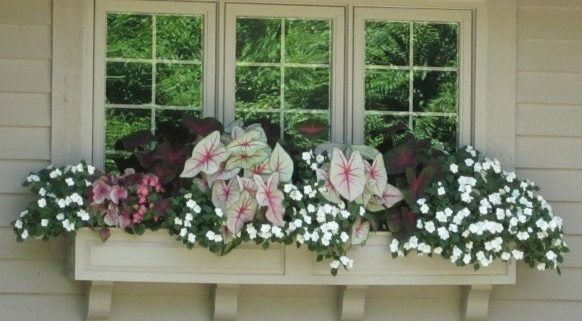 If you fell in love with a certain window box but need it in a different size, give us a call at 800-896-0978, we would love to make you a custom window box! Summer is fast-approaching, which means some of the hottest days of the year – the perfect time for gardening, basking in the sunshine, and renovating your home with summertime accents. Give your house, apartment, or business a brand new look without appearing to try too hard, using faux balconies and iron window grilles. Have you ever gazed up at a building to see a beautiful balcony – only to realize later that it actually wasn’t a balcony at all? 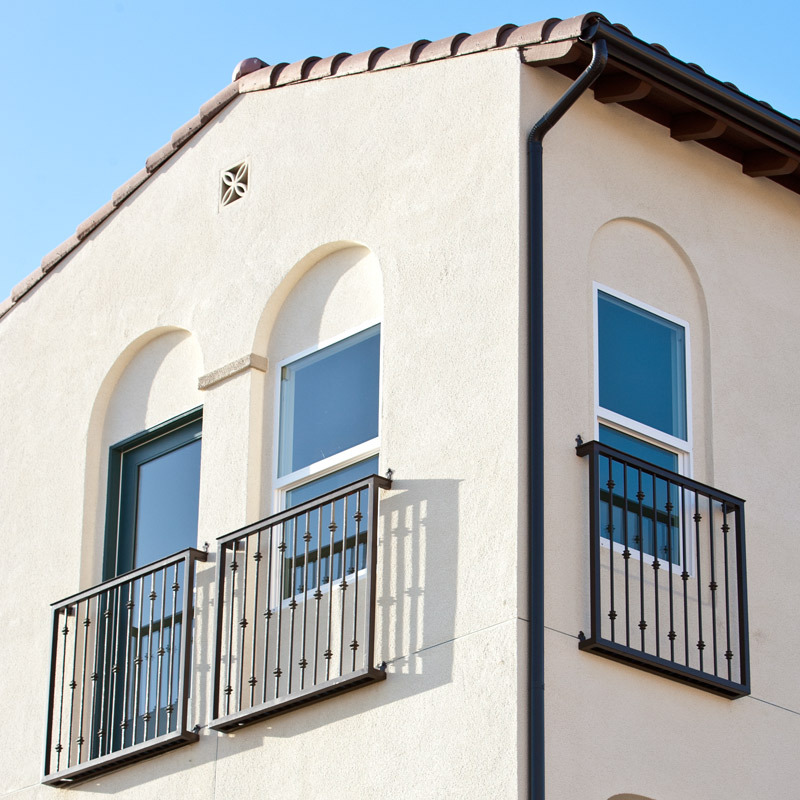 Juliet faux balconies add custom curb appeal without the hassle of a real balcony: no architects drawings, no various approvals, and no changing the structure of your home. A wrought iron balcony begins with, you guessed it, wrought iron, which has been handcrafted into swirling loops, hoops, and beautiful twirls. This gives your home an instant dose of elegance that you never knew you were living without until you have it right in front of you. The faux balcony curves slightly outward, creating the illusion of a real balconette beneath your windows. In turn, this furthers the illusion that your windows are actually beautiful French doors, waiting for you to burst open and greet the sunrise with a smile on your face and a cup of coffee in your hand. When a balcony railing is a little too far off from what you imagine your summer home makeover to be, stick with iron window accents. 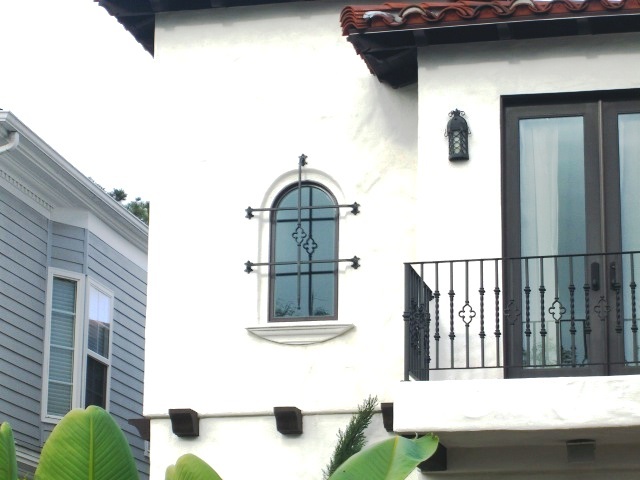 Constructed from wrought iron railings, our accentuations fit conveniently, perfectly, and beautifully over small windows. 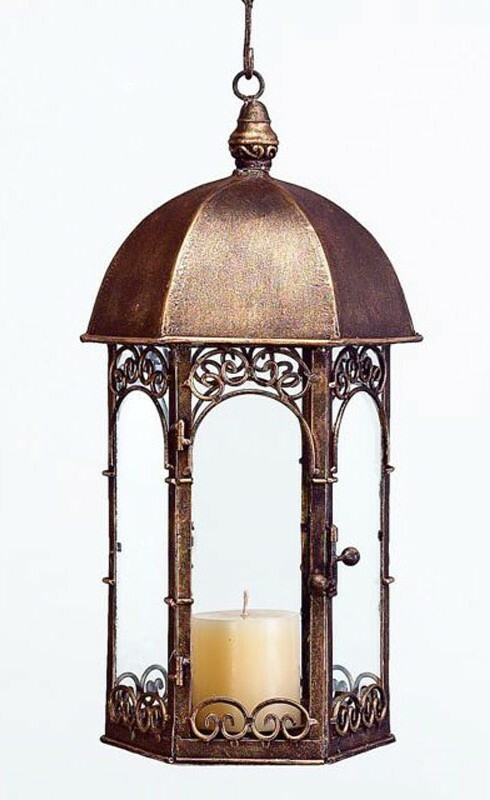 These look best with antiquated home decor, like a house or apartment with the exterior texture and appearance of burnt umber or terra cotta. 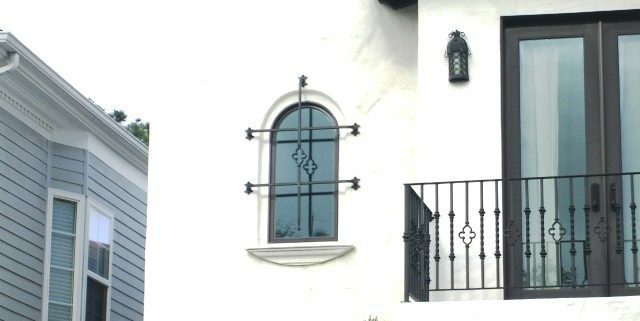 Each rod iron railing of these iron window accents is handcrafted, curved and straightened into strong decorations that add pizazz and custom curb appeal to your exterior home decor. 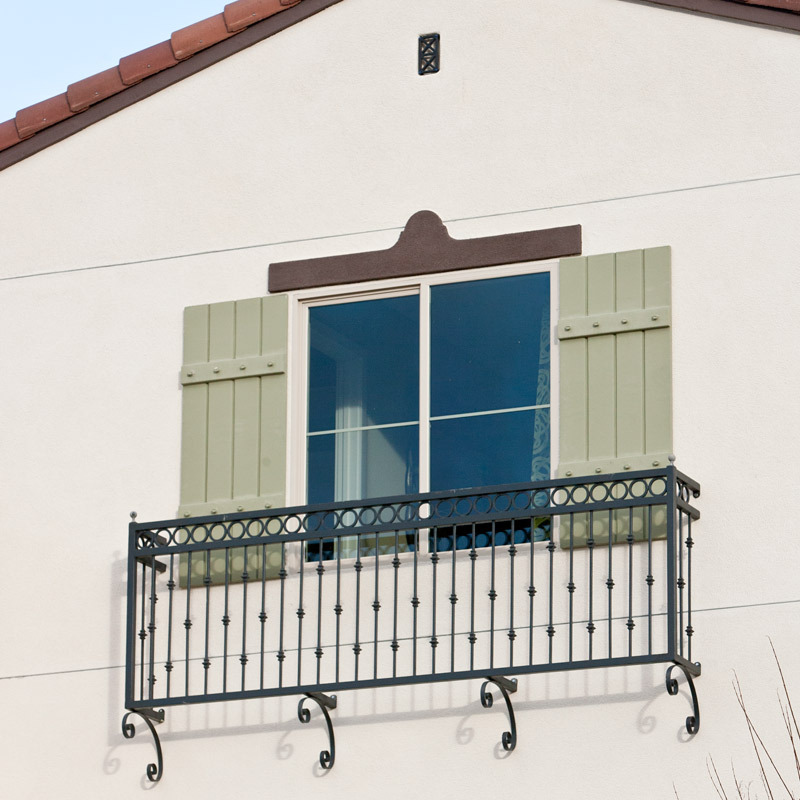 Many of our Juliet balconies and iron window accents are purchased by the everyday homeowner or apartment tenant, but we encourage everyone to accentuate a beautiful house, apartment, or business for summer. Contractors and property managers are likely to have a little more success selling their houses and buildings when those properties look their best. 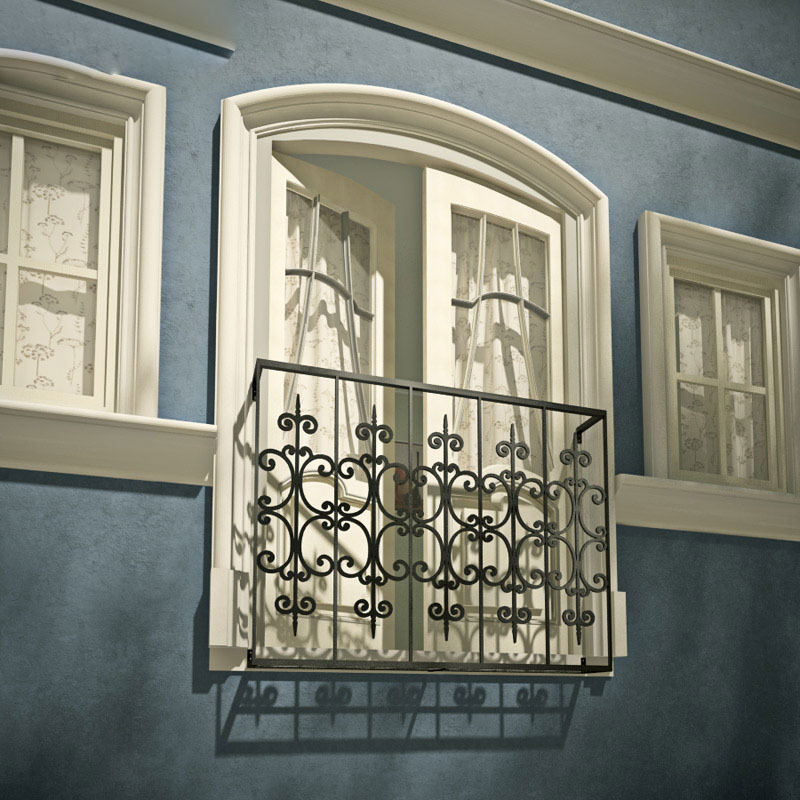 We at Hooks and Lattice offer a variety of faux Juliet balconies and iron window accents for your perusal. There is truly something here for everyone, and you are encouraged to absolutely take your time and look around for the perfect accent that will make your exterior decor POP. All of the faux balconies and iron rod railings from our collections are custom-made and can be modified to meet the precise needs of your home. Start now to ready your home for summer! This isn’t your traditional window box, and just by looking at it you’d never know it wasn’t wood! Our modern farmhouse window box, which is actually sturdy fiberglass, will upgrade your home’s curb appeal without the upkeep of a traditional wooden window box. 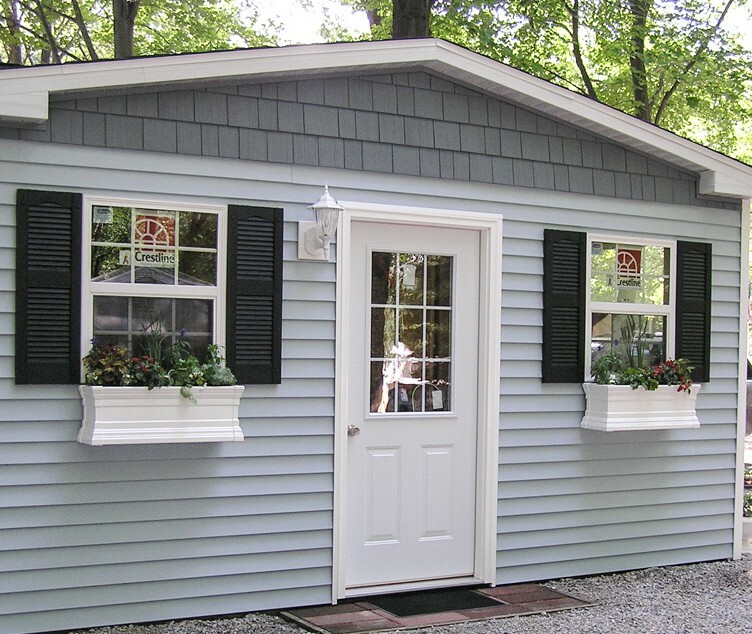 Start your home’s curb appeal improvement project with a modern taken on cottage charm. 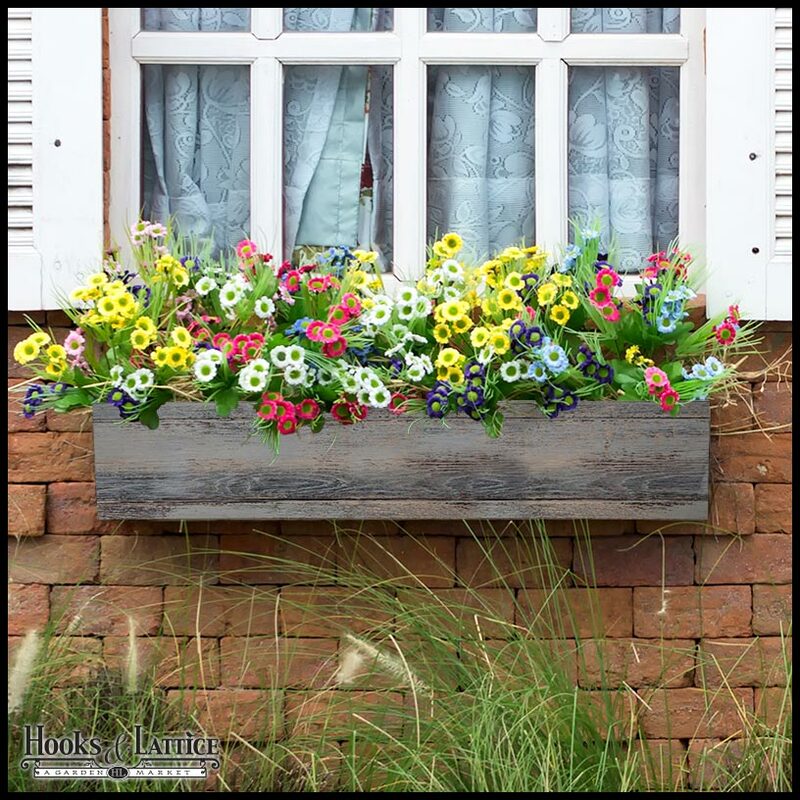 Because these window boxes are made from strong fiberglass, they will not rot, warp, or change color like standard wood window boxes do over time. They also weigh less than traditional window boxes so you can be sure that, with proper installation, they won’t cause any problems. With its easy cleat mounting system, it is also incredibly versatile with four mounting options; home exteriors, decks, fences, and railings. If you’re looking to make your curb appeal more consistent by adding window boxes to the second story, we have a surprise for you, these window boxes are also completely finished on the bottom. Mounting these window boxes on a rail is no problem either, the back of the box is painted the main color of the box, as shown in the picture below. Each window box has pre-fabricated drainage holes on the bottom so you won’t have to worry about over watering and the water spilling all over your home’s exterior. You can even make these a self-watering window box planters with an optional planter reservoir to ensure your plants and flowers are watered adequately with minimal effort. Normally, we can’t custom make fiberglass window boxes, but we’ve made an exception for these beauties! Give us a call at 1-800-896-0978 with your needed dimensions and our estimates team will draw you up your very own modern farmhouse window box! Create a flower box full of lush greenery and bright pops of color with our arrangements of buckler ferns and ivy. Our fern and ivy fronds are modeled after real varieties and have the details, shape, and texture of live plants to create a visually interesting mix. The mostly monochromatic nature of these arrangements make them a great accent to a modern home or a home with natural elements such as wood or stone details. Our 42″ fern and ivy mix adds brilliantly colored bromeliads for a unique exotic touch. And with high quality UV protection, the color won’t fade overtime, guaranteeing your ferns will be green and your flowers bright for years to come. Add depth and length to your window box with our selection of faux bougainvillea vines. Our plants are full of leaves and flowers to give your window box a full, lush look that is lifelike and beautiful. This 30″ recipe features three vines for a complete look. Bougainvillea plants have unique textures and long vines, making them an interesting addition to a whimsical window box. Available in six colors ranging from red to lavender, our bougainvillea plants are made of fade-resistant materials to keep your flowers bright even if you don’t have a green thumb. 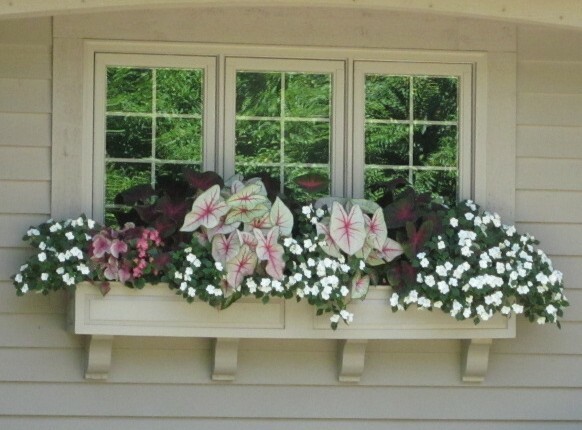 A window box classic, geraniums are a great addition to window boxes for more traditional style homes. Available in pink, red, or white flowers, our faux geranium recipes can add a charming detail to any interior or exterior window box. 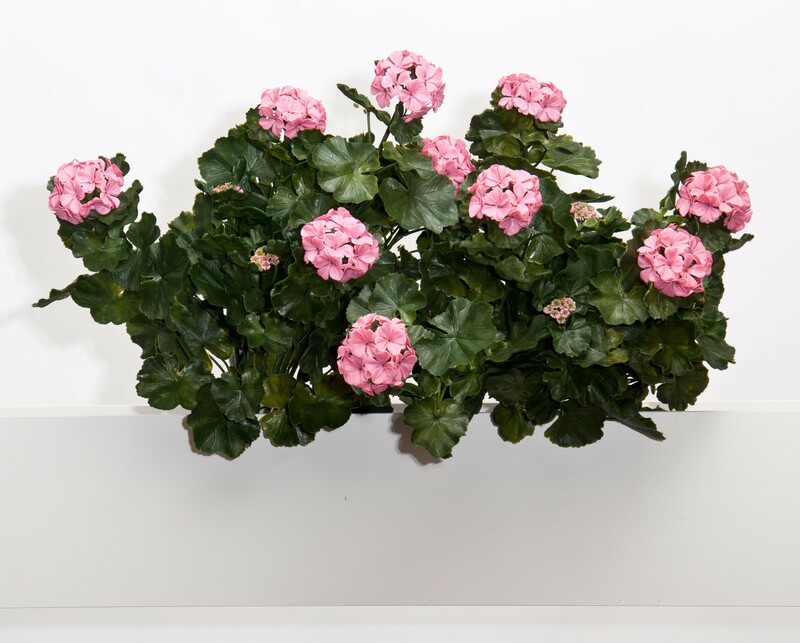 To create an even more lifelike look, our geranium plants come with a mixture of leaves, flower clusters, and flower buds. This 24″ geranium recipe is full of the perfect amount of elements to fill your window box in a complete and professional way. With UV-resistant material, these geraniums will add cheerful details to your home year round. Shhhh – The Neighbors Will Never Know they’re Fake! Once you have arranged your artificial flower recipes to your liking, don’t say a word. Simply sit back and wait for the compliments to start rolling in. Our commercial-quality outdoor artificial plants and flowers are so realistic most people can’t even tell they’re faux – even just a few feet away! Shop window box recipes online or call 1-800-896-0978 to work with a floral designer on custom and/or seasonal arrangements.